To see more photohunters in action, check out the blog hosting this PhotoHunt: Whistlestop! So cute. Have a super Saturday. Definitely precious.....and perfect coloring in the feather department for THOSE EYES!!!!! Awww perfect blue toys with the bluest eyed cat! Oh My Cod! Yous is just the cutest .. EVER!!!! Those blue feathers look great with your fur! 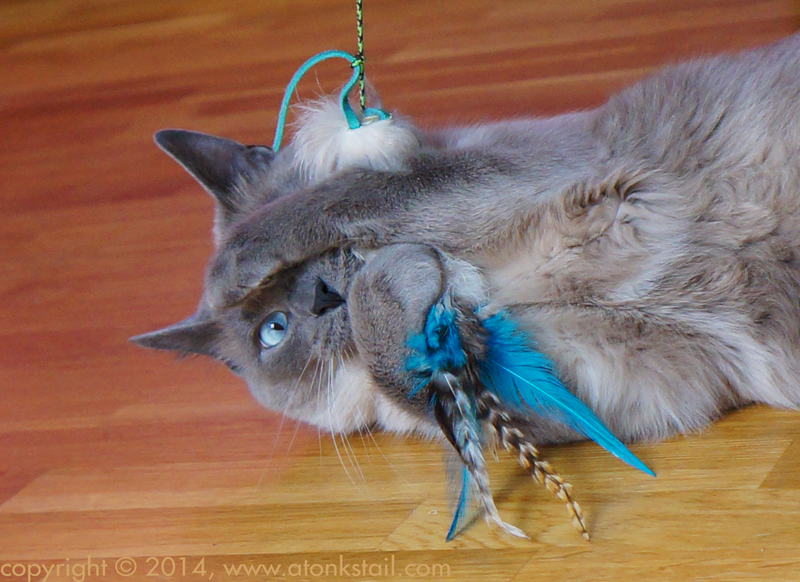 Is it important for toys to match fur and eye color? You look adorable with those feathers. That feather matches your eyes beautifully! Isn't it great when your toys match the color of your eyes! You're too cute Maxwell. That's an awesome photo, Maxie you are so very sweet!